Mix contemporary sleekness and classic lines with this 8mm 14k yellow gold and black titanium design band. 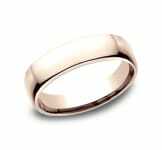 Mix contemporary sleekness and classic lines with this 8mm 14k rose gold and black titanium design band. 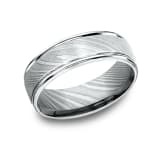 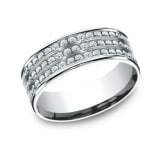 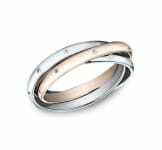 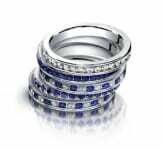 This stunning white Gold 7mm comfort-fit band has a beautiful swirl finish and an offset Tantalum accent for a modern two-tone effect. Celebrating the beauty of nature, darkened Tantalum envelops a yellow Gold band with an organic tree bark design on this asymmetrical 7mm comfort-fit design ring. 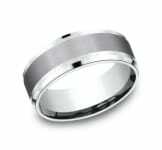 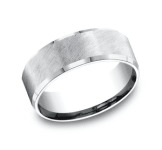 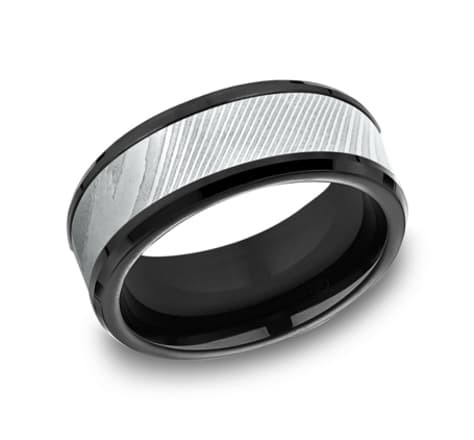 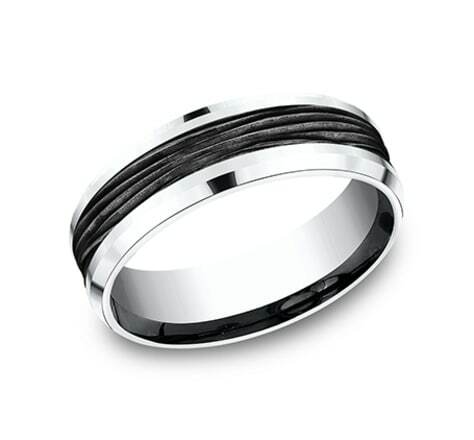 Extremely unique and distinguishing, this 7mm design band features a horizontal bark pattern carved into the rings black titanium center. 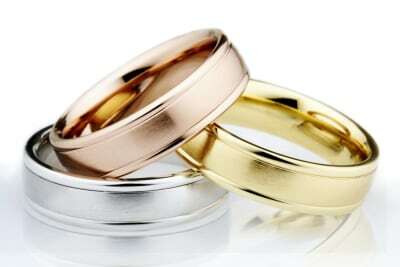 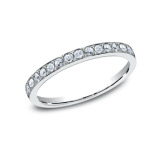 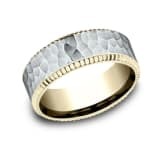 A yellow Gold cobblestone band set amidst darkened Tantalum creates a uniquely elegant two-tone effect. 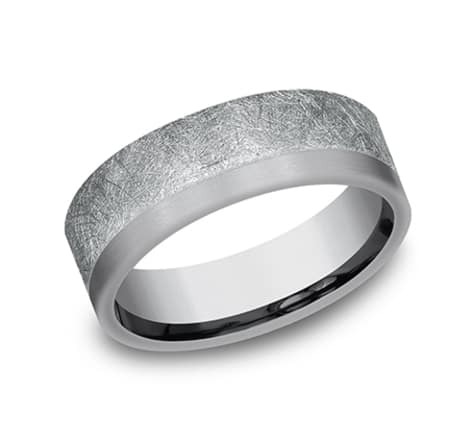 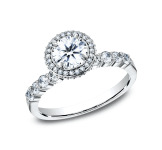 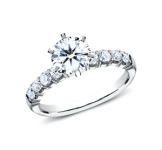 Our hand hammered pebble finish is complemented by a darkened Tantalum detail to create a beautifully unique two-tone quality on this white Gold 7mm comfort-fit ring. 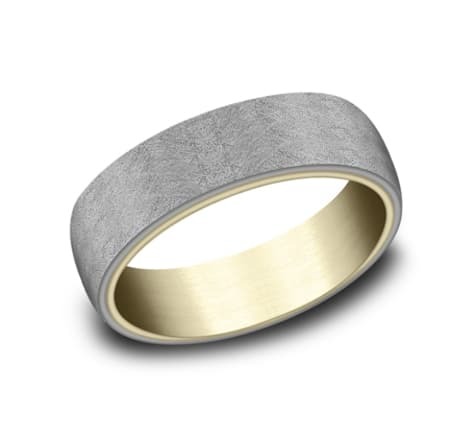 The random cross hatch pattern on this 7mm comfort-fit Tantalum and white Gold band creates an interesting visual against the asymmetrical two-tone profile. A sophisticated yellow gold mesh inlay with milgrain edges adds a spark of refinement to this 8mm black titanium design band. A sophisticated white gold mesh inlay with milgrain edges adds a spark of refinement to this 8mm black titanium design band. Inspired by Ottoman patterns this Grey Tantalum design band features an exquisite Black Titanium pattern inlay that sets your style apart from traditional ring fashion.